Our 19 trading stores, excluding Build it, cover our geographical footprint from Pofadder in the west, Kuruman in the east, Rietfontein in the north to Calvinia in the south. 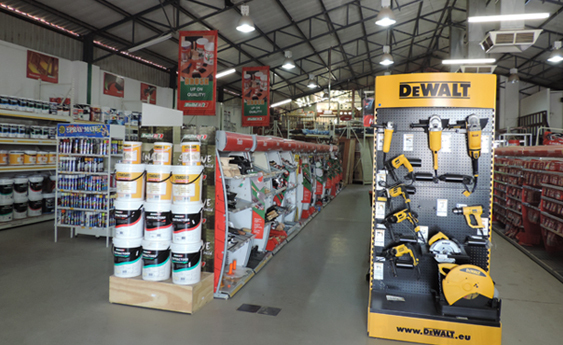 The four Build it building franchises are located in Upington, Kathu, Kuruman and Postmasburg. Click on the link below to view the different trade branches. KLK has three abattoirs in Calvinia, Carnarvon and Upington do the slaughter and sale of sheep and beef carcasses. SA Dorper manages the processing and export of dorper skins and the processing of hides. Slaughter prices are guaranteed weekly. Classification and health inspections is done by a independent company, IMQS. Carcasses are sold mainly in the metro areas of the Western Cape, Durban and Gauteng. All producers are invited to attend the slaughter of their livestock and to pose questions to both the grader and the health inspector. Please note: Animals will not be accepted and slaughtered on Fridays after 09:00. Livestock and moveable goods are regularly auctioned and sold. Trained KLK marketers offer liaison services and livestock classification. KLK owns a sheep feedlot with a 4 500 capacity to prepare the livestock for the market. Commercial auctions of small stock and large stock, studs, movables and clearance sales are hosted throughout the year. 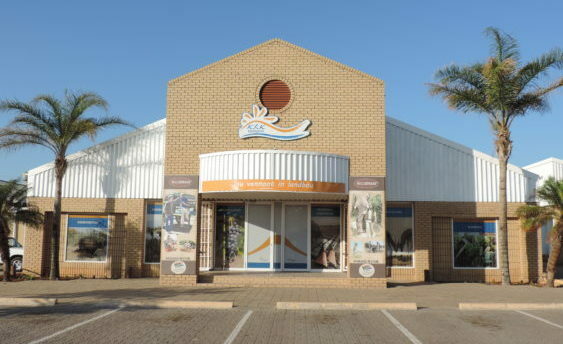 Regular calendar auctions are held in Upington Olifantshoek, Kuruman, Postmasburg, Vanzylsrus. Liaison duties of breeding and slaughter stock as well as the classification of animals is conducted by a well trained team of expert marketing officials. Classification of ewes and the purchase of rams can be organised with the relevant marketing officials in your area. KLK is the only organisation that handles Karakul pelts in the RSA. Two pelt auctions are held annually in Copenhagen, Denmark. Pelts are collected in Upington and sent to Windhoek where they are sorted and shipped to Denmark. A well-equipped feedlot with a standing capacity of 6 500 small stock can be used by producers to round off their animals in order to get them market ready.